Thai musical movies are called "NANG PLAENG" - หนังเพลง. In 1960s decade, many movies included songs. 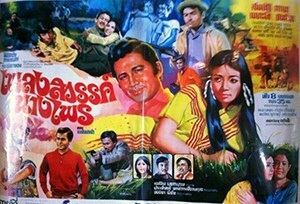 The first movie to be a real musical movie was มนต์รักลูกทุ่ง (1970) with Mitr Chaibancha and Petchara Chaowarat. Many musical movies were about love stories between rich and poor individuals. Music featured in movies was ลูกทุ่ง or countryside music. The peak of ลูกทุ่ง movies was in years 1974-1978. 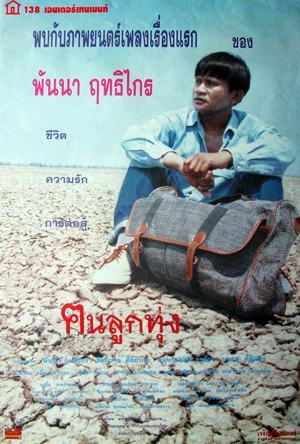 This folk-music movie is similar to "mon rak luuk thung". It features 13 folk or "LUUK THUNG" songs. It is about love stories between feminine villagers and men working from outside the village. Some villager men don't agree that outsiders take interest into local ladies. 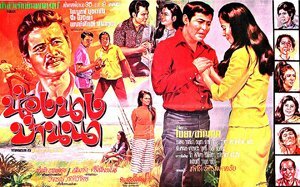 Following huge success of movie "Mon Rak Luk Tung" (มนต์รักลูกทุ่ง) in 1970, many song movies were released to catch up with this trend. Such movies include songs, a bit of action, romance and humor. Thai movie เพลงสวรรค์นางไพร is one of them and was released in year 1971. It features nine songs. Director is พิชิต มีชัย. This movie was a lost movie in Thailand. In year 2013, a last copy was found in a Thai temple in the North of Thailand. Only three reels of the movie are left, so around 1h30mn. Unfortunately the film reels were in bad condition due to water soaking, so only 18mn are usable. It is in 16mm format so there is no sound as such format requires dubbing. No songs are left. No movie poster is left. A movie partial summary is still available. Sombat Methanee is Waiwai, working as forest guard. Pawana Chanajit is SaenGneun. Others actors include Sawin Sawangrat, Choomporn Theppitak, Anucha Ratanaman, Krai Kanchit, Khomapat Attaya, countryside folk singers (นักร้องลูกทุ่ง) such as Noppadol Duangporn. Action takes place in a village. Ruffians are terrorizing and aggressing local ladies. A spirits doctor is coming to the village. A ghost appears to the villagers during an assembly. Romance is happening between Waiwai and SaenGneun. A small sequence shows Sombat Methanee punching ruffians. The remaining sequences are not enough to understand the movie. Thai movie น้องนางบ้านนา is a Thai movie released in year 1971. It features Chaiya Suriyun as main actor and Aranya Namwong as main actress. The movie was started with Mitr Chaibancha but it was incomplete due to his premature death. So the main actor was replaced by Chaiya Suriyun. The movie features nine songs but none are left. Many famous singers from beginning of 1970s decade are acting in this movie. No movie summary is available anymore. The movie is lost in Thailand but luckily an extract of 56 minutes is still left. Other actors are Chat Mongkolchai, Choomporn Theppitak, Wassana Chalakorn, Khomapat Attaya, Anucha Ratanaman, Sawin Sawangrat, Marasee (มารศรี), Sompong Phonmitr, Chosri Misommon, Op Boonthit. Without a summary and the movie being in mute state as it is in 16mm format, the story is difficult to understand. Aranya Namwong receives a letter from her fiance studying at university. Wassana Chalakorn is jealous and steals the photograph. Op Boonthit and his daughter Chosri Misommon are bar owners. Sompong is their regular customer. Choomporn Theppitak is agressed by a ruffian, who is finally an old friend. Sawin Sawangrat and Rujira (ม.ล. รุจิรา) seem to have bad plans but are spied by Choomporn and Anucha. Chaiya is back from his studies. Chaiya and Wassana Chalakorn are in a rice field having romantic talk. Khomapat Attaya is with them. Wassana Chalakorn tries to prevent Chaiya to meet Aranya. Anucha is trying to abuse Wassana Chalakorn. Heated arguments happen during a wedding colorful procession. This movie reminds of famous movie “Mon Rak Luk Thung” (มนต์รักลูกทุ่ง - 1970) as it features many songs and various couples involving romance and jealousy. Following movie “Mon Rak Luk Thung” success, many romantic song movies (หนังเพลง) were released in the following months and years trying to surf on a similar popular wave. 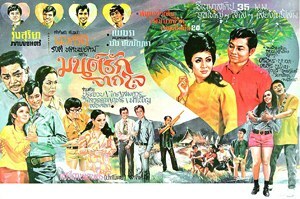 Thai movie ธารรักไทรโยค was released in year 1971. Main actors and actresses are Sombat Methanee, Petchara Chaowarat, Prachuap Ruekyamdee, Paen Pleumsachai, Sawin Sawangrat, Metta Roongrat, Wassana Chalakorn, Pan Borapet, singer Songthong, Tat Ekathat. The movie is lost in Thailand but a dubbed sequence in 16mm format lasting 1h30mn was shown in Thai Film Archives. The movie takes place in Saiyok area, Kanchanaburi province. Multiple songs are featured. Trailer sequences show various action and romance scenes. The remaining film is in 16mm format but songs are in 35mm format so songs sequences have poor quality as 35mm film degrades faster in time. Prachuap is trying to seduce Metta. Petchara's father, Sawin, doesn't like people from Bangkok. Sombat and Prachuap are accused to be robbers. 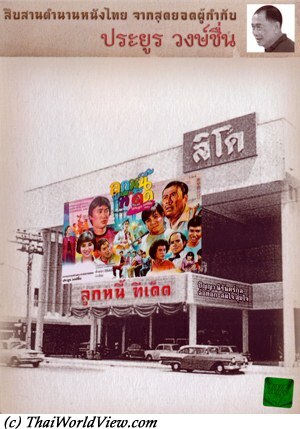 Thai movie ทุ่งเศรษฐี was released in year 1971 and lasts 2h46mn. It was never released under VHS, VCD or DVD but an unofficial version can be found as a collector made a copy of the film, found in 16mm format with soundtrack. This unofficial VHS version features a very damaged black and white image with many vertical lines and distorted sound as the remaining film was projected very often. It is even more damaged than Thai movie มนต์รักลูกทุ่ง. Main actors and actresses are Kanchit Kwanpracha, Petchara Chaowarat, singer รุ่งเพชร แหลมสิงห์, singer กิ่งดาว จันทร์สวัสดิ์, Taksin Jampol, Ratanaporn Intarakamhaeng, Phan Kam, Rujira Isarangkul, สีเผือก, ศรีสุริยา, เทิ่ง สติเฟื่อง, Tat Ekathat, Pan Borapet, Adinan Singhiran. 16 songs are featured. Thai movie ทุ่งเศรษฐี is a musical movie (หนังเพลง). The most famous song is ขนมจีนน้ำยา. Ruffians’ leader Pan (Tat Ekathat) is asking lady Molee's hand. Jaem (Taksin Jampol), armed with swords, pushes back the wedding procession led by Pan. Molee (Ratanaporn Intarakamhaeng) succeeds to escape with her boyfriend Pong. Jaem jumps on a horse and flees also before being overwhelmed. Molee lives with Pong and their child but remains concerned that Pan will find them one day. Pong refuses to flee in front of Pan again. He is finally captured. Pong's house is burnt. Molee and her child have to flee to Bangkok. Many years have passed. Krai (Kanchit Kwanpracha) is selling vinyl records during temple fairs. Fan Dao (Petchara Chaowarat) is visiting the fair also. Krai falls in love with Fan Dao. He sings romantic song for her. Krai and his friends get beaten by ruffians (including Pan Borapet) because they talked to the daughters of ruffians’ leader Pan. Pan has a wedding plan for his daughter even she doesn't know or love her future husband. Fan Dao doesn't want to marry a ruffian (นักเลง). While paying respect to an old pagoda, Krai and his friends visit a small wooden house. They are attacked by Borapet and his ruffians. Ruffians are pushed back. They discover that the man meditating in the house is uncle Jaem! Kanchit is Molee's son. Op Boonthit, previous subdistrict headman (กำนัน), is Krai’s grandfather. Krai is still looking for his father. He doesn't know if his father is still alive or not. Thai boxing matches are organised in the village. It starts with a dwarf match. Next match features Adinan versus Krai. Fan Dao needs to give the winning reward. Kanchit defeats Pan’s champion. It ends up by a lady match. Pan accepts them as 'children'. Romance songs occur between Kanchit and Fan Dao, male singer (รุ่งเพชร แหลมสิงห์) and female singer (กิ่งดาว จันทร์สวัสดิ์). Face to face occurs between Pan, uncle Jaen and Krai. Krai is still looking who killed his father. Both of them are beaten and captured by Pan's ruffians. Friends ask for Op Boonthit's help. Fan Dao tries to release Krai and succeeds. Krai knows Pan killed his father so he needs to take revenge. Krai captures Pan and wishes to torture him on a pyre like he tortured his father (รับกรรม). Molee and Jaem tries to convince him not to kill Pan. No more sins shall happen. Seeing his mother collapsing makes Krai realises that he was wrong. Pan changes and recognizes also his mistakes. Thung Sethi (ทุ่งเศรษฐี) area will have happiness. 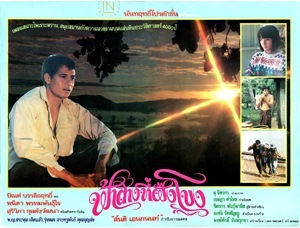 Thai movie ขวัญใจลูกทุ่ง / My sweet heart was released in year 1972 and lasts 2h27mn. Movie director is ศรีไพร ใจพระ. The movie was never released on VHS, VCD, DVD in Thailand. It is only available under 35mm film format, but it was very damaged with colors almost lost. ศรีไพร ใจพระ and บุปผา สายชล were famous singers (นักร้องลูกทุ่ง) since movies ชาติลำชี and มนต์รักลูกทุ่ง shot by รังสี ทัศนพยัคฆ์. They were husband and wife. Movie ขวัญใจลูกทุ่ง was the first movie directed and produced by ศรีไพร and featuring his wife บุปผา as main actress. Chaiya Suriyun was supposed to the main actor in this movie. He started to play in a few sequences, but problems occurred. So, the main actor was changed to Nat Poowanai, who was a new actor who just played in a few movies. Surprisingly Chaiya can still be seen on the movie poster and in a few sequences of the movie. Chot character, played by Chaiya, is killed after a fighting sequence where Chaiya is shot by ruffians. The movie features many actors and actresses such as Kamthorn Suwanpiyasiri, Chosri Misommon, Sukon Koewliam, Lor Tok, Chaiya Suriyun, Nard Puwanai, Rujira Isarangkul, Op Boonthit, Paen Pleumsachai, Songthong, Sithao Petcharoen, วงศ์ทอง ผลานุสนธิ์, พูนสวัสดิ์ ธีมากร, ทานทัต วิภาตะโยธิน,แคหลอ, ชูศรี โรจนประดิษฐ์, ขุนแผน, ถนอม นวลอนันต์, เปี๊ยก, พิม พิไลลักษณ์. 12 songs are featured in this musical movie. Kamthorn Suwanpiyasiri (ลูกกำนัน) wants to seduce Kratin (บุปผา สายชล). Kratin watches boat races with Champi (Chosri Misommon). Sithao Petcharoen is the referee. Uncle Khaem (Rujira Isarangkul) prevents Kratin to meet Yot (Nard Poowanai). He has already a planned engagement with Kamthorn as Yot is a poor man. Kratin is Khaem's granddaughter. Chot (Chaiya Suriyun) and Sri Phrai (ศรีไพร ใจพระ) arrive in the village. Thai boxing match free style is organized and Sri Phrai, despite being a weak opponent, wins. Khaem loses a lot of money. He is upset that Kamthorn makes profit on him. Sri Phrai wishes to marry Kratin. Kamthorn and his ruffians (including Paen Pleumsachai) agress Kratin. Phi Chot and his friends help. Kamthorn gets defeated but one of the ruffians shoots Phi Chot. Op Boonthit plays a Chinese merchant. Hippy Songthong arrives from Bangkok. Uncle Khaem wishes to marry Kratin with Songthong. He is fired as he misbehaves. Next day, a man similar to Songthong with a lady Lin, claiming to be Yot's girlfriend, is having a drink in a cafe. Khaem and his team capture him. The lady flees and meets Kamthorn, who tells her that Yot has already another girlfriend named Kratin. Songthong is covered with flour and chased away. Lin visits Yot and Kratin sees them together so it is causing a misunderstanding. Khaem has to excuse towards Songthong. As a revenge, Songthong is parading the uncle through the city. Following Kratin and Yot pleas, Songthong releases him. The movie ends up happily with uncle Khaem allowing Yot and Kratin to marry, Kamthorn having a romance with Lin. 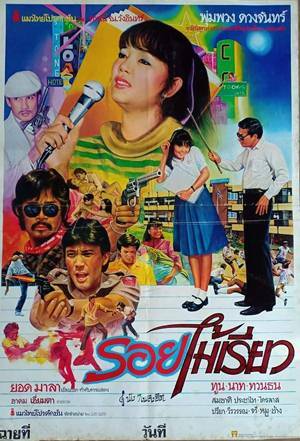 Thai movie เพลงรักบ้านนา was released in year 1977. It features Sombat Methanee as main actor, มธุรส รัตนา and อัญชลี ชัยศิริ as main new actresses. A four minutes trailer and a 1h30mn movie are still available. The full movie with 12 songs including 3 by Sombat is not available anymore. A partial version was released many years ago on Thai TV CH7 but in a shorter release with only one song featured. Other actors featuring in this movie are Boo Wibunnan, Adinan Singhiran, Doo Dook Kradon, Chosri Misommon. A young man (ไพรวัลย์ ลูกเพชร) from Suphanburi is sheltered in Sri Prai and her sister's home as he has nowhere to go but he has nice singing skills. Worrying he would seduce his two daughters, the father finally chases him. Duan (Sombat Methanee) rescues Sri Prai aggressed by ruffians. Romance between Duan and Sri Pai happens. The story is about two sisters coming from a rich family and who love two poor men to the despair of their father. Finally the two poor men help their future father in law as a businessman is trying to buy his land knowing that a road is going to be built soon. The two new actresses are อัญชลี ชัยศิริ born in 1956 and มธุรส รัตนา born in 1957. Thai musical movies are called "NANG PLAENG" - หนังเพลง. Cinema industry tried to renew similar success in 1984-1986 with artists such as Yotrak Salakcha, Pumpuang Duangchan, Sayan Sanya... Those singers played in many musical and also action movies. This folk-music movie is a remake of one of the most famous Thai movie (มนต์รักลูกทุ่ง) shot in 1970. It features 14 folk songs or "LUUK THUNG" songs. It is about a love story between a poor peasant, Klao, and a young woman, Thong Kwao, coming from a rich family. It includes also three other side love stories between Bupfa, Thong Kwao's sister, and Waen, Klao's friend, between Sai Chai and a policeman and between a Northeaster worker and Sai Chai's sister. Both Sai Chai and Thong Kwao are arguing over Klao as both of them love him. Klao promises to marry Thong Kwao as soon as he has enough money for the dower. A local godfather is lending money to poor peasants and get their land title when they are not able to refund the money. Klao's mother has debts with the godfather. Hopefully Tong Kwao is able to help. This upsets the godfather as he cannot get the land title. To ease the situation with the godfather, the parents send Thong Kwao and her sister to Bangkok to learn clothes fashion design. In fact Thong Kwao's parents are worried about the family assets if their daughter marries a poor man so they send her to Bangkok so that she can be far away from Klao. They promise Thong Kwao that they will accept Klao's proposal for marriage if it happens. Floods happen and rice crops is destroyed. Thong Kwao can only offer a small dower. Thong Kwao's parents refuse Klao's proposal for marriage and request an expensive dower (ค่าสินสอด), i.e. 100 000 Baht (สิบหมื่น). while in Bangkok, a bad businessman is courting Thong Kwao. He has already a girlfriend but is interested to marry Thong Kwao in order to get money to save his non prosper company. Various misunderstandings happen between Klao and Thong Kwao as they both believe they didn't keep their promise but love will win. 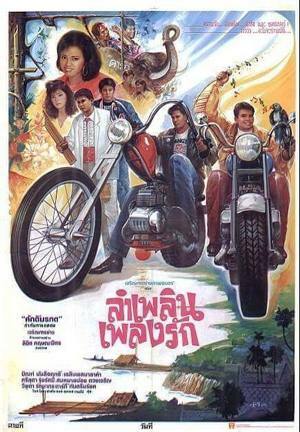 Thai movie ลูกหนี้ทีเด็ด was released in year 1984 and lasts 1h36mn. The movie was released under DVD format by company Happy Home Entertainment. The movie features many songs. A music orchestra (วงดนตรี) has difficulty to make a living. Part of the members include Note Cheunyim, Rop (ปัญญา นิรันดร์กุล), Doo Dook Kradon, Tranee (Der Doksadao). Their producer is Rith Luecha but they have no success. Rith Luecha is married to Bun Reuang (Piathip Kumwong). They have never time to take care about their daughter Ro Rak (จิตต์โสภิณ ลิมปิสวัสดิ์). พี่ Niaw as new producer tries to find new ideas. The group doesn't have expected success (หมดตัว) as concert halls remain almost empty. Last chance is to release a tape but Phi Niaw (Lor Tok) has to sell his house (ขายไม่ออก). His secretary Suphanee is also his wife. His friends ask Rop to marry Ro Rak as she is coming from rich family. He needs to seduce her first but he is not expert at all (กำลังโบ้เบ้ / อย่าลีลา). Rith is having affairs while his wife Bun Reuang is always out on charity events with a high society woman (คุณหญิง). Phi Niaw lost his car, his house and about to lose his wife as the other orchestra members suggest to use Suphanee to seduce Rith. The music orchestra is looking for a new style (เพลงสตริง) to be popular. Bun Reuang chases all of them away after seeing Rop trying to seduce her daughter and after knowing that Rith has given money without asking for reimbursement as Tranee always introduces beautiful ladies to him to ease loan requests... They leave for upcountry. Ro Rak hides in their van. Police is called by Bun Reuang. Rop is almost arrested for kidnapping a teen but finally released as the problems are coming from the fact that the parents are not talking each other. Bun Reuang needs to organize a concert for orphan children (เด็กกำพร้า) so she needs a music orchestra. Only Tranee's orchestra is available...so she has to remove her complaint regarding unpaid debts. The concert is a huge success. She saves face. Rop and Ro Rak renew their friendship. Thai movie ฟ้าส่างที่ฝั่งโขง was released in year 1989 and last 1h28mn. It is a romantic song movie. It was released under VHS format. Movie director is สันติ อเนกนนท์. It was first movie for Thai actress พนิดา พรหมพันธุ์ใจ. Multiple molam songs (หมอลำ) are featured in this musical romantic movie. Khaem (Bin Banleurit) is a villager leaving near the Mekong river. Khaem has an university diploma but has still no job so he is working as fisherman in his village. His family is poor. Young lady Siripon (พนิดา พรหมพันธุ์ใจ) has just finished her studies and is visiting her friend Araya (สุริวิภา กุลตังวัฒนา). Another male villager called Chatree likes Siripon. Both Chatree and Khaem try to seduce Siripon (คนเอาใจ) while visiting old prehistoric rocks along the Mekong river at Pha Taem National Park. Laotian side can be seen (มิตรภาพ). Khaem's father keeps drinking. He wishes his son could have a better life as he studied in university but finally, he ends up as doing same job as him, i.e. catching fish (หาปลา). Romantic balad on the Mekong river occurs with Siripon. Siripon likes Khaem and her friend Araya likes Chatree (น้องรักพี่เพราะว่าพี่รักน้อง). Siripon's parents are worried to have her staying long time on the countryside near the Mekong river. Khaem's father has a crisis. Siripon's father comes to pick up his daughter. Chatree finally gets interest in Araya as he knows he has no chance with Siripon. Khaem's father is now handicapped so he has difficulties to walk. Khaem trains him every day. Siripon is back to the city. Her mother is upset that Khaem visits Siripon and forbids any relationship as he has a poor background. Araya is going to marry Chatree. The father succeeds to convince the mother to change her mind after understanding that Khaem is a good guy. So Khaem and Siripon’s love can finally blossom. Thai movie สงครามเพลง แผน 2 was released in year 1990 and lasts 1h52mn. The movie was released under VHS format and VCD format. This musical movie is featuring real singers such as Sorapong Chatree (สรพงศ์ ชาตรี), Samart Payakaroon (สามารถ พยัคฆ์อรุณ), สุนารี ราชสีมา, หรั่ง ร็อคเคสตร้า, ทิพย์ ธรรมสิริ, Yodrak Salakjai (ยอดรัก สลักใจ). Movie director is Sayan Chantaravi​boon. Yodrak and Note Chernyim are performing in an attraction park. Yodrak tries to protect lady Trirak (Trirak Rakkarndee) aggressed by ruffians led by Ping. Mat (Samart Payakaroon - สามารถ พยัคฆ์อรุณ) stops his Thai boxing match to help also. But Yodrak (Yodrak Salakjai) and Mat are fired from the attraction park for breaking rules. They end up in Pon's house. Pon (Sorapong Chatree) is Yodrak's old friend. Pon is a former singer, who had great success. He is now disabled. Pon had an accident. A car overthrown Pon and his girlfriend. Out of job, all friends have to do small jobs to earn money. Romance occurs between Su (สุนารี ราชสีมา) and Yodrak. Music producers conflicts occur between producer Ron Rittichai from Grand Opinion and producer Phanom (พนม) from Diamond Note as singer Rang invites Thip to sing on the stage. It is songs war (สงครามเพลง / สงครามธุรกิจ) between them. This rivalry causes singers to be enemies (ศัตรู). Singers cannot even contact each other such as Rang and Thip. As they have difficulties to pay debts, Pon is upset but he still is trying to sell his songs. Rang promises to help. Ping tries to aggress Thirak again. The friends have issues with Ping, Boo’s son, who threatens to burn Pon’s house as a revenge. Pon succeeds to sell two songs thanks to Rang’s help. Mat becomes a singer also. Lady from opposite side (สุนารี ราชสีมา) makes Mat to drink a lot. Producer Phanom copies Ron’s producer strategy (ลิขสิทธิ์ใหม่ / ลิขสิทธิ์เก่า). Phanom is helped by ธีรพงศ์ เหลียวรักวงศ์ to coerce Mat. Mat is too busy with work. The lady doesn't let him go back home. When back home, he found that Trirak is going to marry with one of the sons of Boo Wibunnan. Mat misses being an ordinary man as there is no rest when being a superstar singer. Finally, they get on well again. Grand Opinion Producer Ron decides to call back Pon. Pon has finished to write a song in honor of his deceased girlfriend. Young lady Thip (ทิพย์ ธรรมสิริ) has similar face as her and will be the one to sing this new song. A concert is organised to differentiate the two producers. Pon and Mat arrive by balloon. Thip sings Pon's new song. It is a huge success. Shooting happens as a revenge and Pon is shot (ถูกยิ่ง). The two producers accept to do peace to ensure Pon's death has a meaning. Thai movie ลำเพลินเพลงรัก was released in year 1993 and lasts around 1h19mn. It is a musical movie featuring six Isan molam songs (หมอลำ), i.e. music from northeastern Thailand. Jean-Michel Jarre music is also used as background music! Movie director is ศักดิ์มรกต. A village leader (ผู้ใหญ่) is upset as local young lad (singer เฉลิมพล มาลาคำ) is trying to seduce his daughter Chaba through molam songs. Bangkokian guys, White (White Padungkan) and Yai, try to seduce young lady Pim. White and Yai try also to seduce the daughter of village leader Chaba by offering expensive gifts to the father. Other villagers are upset by their behaviour (หนุ่มกรุงเทพ) so they ask a clarification to Chaba and her father. Meanwhile some artisans (including Chang Ek - Bin Banleurit) from Bangkok are coming to the village to perform some work. Kong, on behalf of Chang Ek, sends flowers to Pim. Kong is lying as he is not brave enough to declare his love, but he puts Chang Ek in an awkward situation towards Pim. The Isan local lads also buy a chopper to be at same level as the Bangkok guys. White takes profit of the village leader’s credulity and proposes to bring Chaba to the village by riding his chopper. He in fact kidnaps her. Pim, seeing Chaba and White together, is puzzled and also captured. All realize that Chaba has been kidnapped. Chang Ek arrives the first and fighting occurs to release Chaba and Pim. The movie ends up with Chang Ek daring declaring his love to Pim. This movie is an Isan grade B movie featuring a simple scenario and nice molam songs, comic sequences, romance and a bit of action. Such kind of grade B movie was probably never released in Bangkok theaters and only targeted Isan audience. 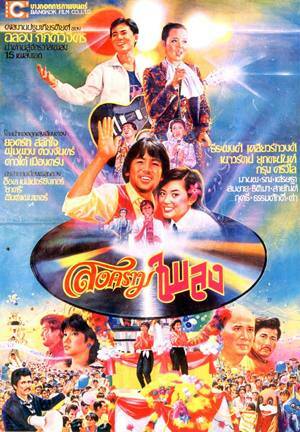 Thai movie มนต์เพลงลำน้ำพอง was released in year 1993 and lasts 1h32mn. This musical movie features seven Isan songs. It was released under VCD format. Movie director is จรินทร์ พรหมรังสี. Molam singer Boonmee (เฉลิมพล มาลาคำ) is heartbroken. His friends including Mum Jokmok try to help him. Boonmee loves Pat, daughter of the village leader but the father doesn't want a poor son in law. Surasak (Somsak Chaisongkram) is running out of money so he tries to befriend with the rich village leader in order to marry his daughter Pat. Seeing Pat close to Boonmee, he tries to break the relationship. He sends ruffians to hit and to threaten Boonmee and his friends. It is a lesson (รู้จักที่ไหนต่ำที่ไหนสูง). A fake letter received by Boonmee is leading to misunderstanding with Pat. Pat is upset as Surasak is even older than her own father! Boonmee's mother, following his son's plea, requests the village leader daughter's hand. He refuses (ดูถูกคนจน) and asks for dowry of 500 000 THB. Meanwhile Pat refuses to marry Surasak. To force her lightly, her father invents a 500 000 THB gambling debt towards Surasak. Pat has to accept to save her father's honor. Meanwhile Surasak's girlfriend, being pregnant, arrives to the wedding. The wedding is cancelled and Pat runs to find Boonmee. He promises to love Pat in front of river ลำน้ำพอง. Movie มนต์รักเพลงลูกทุ่ง (1995) is sponsored by Mitsubishi motors company Ltd as the movie starts by a real mitsubishi advertisement. During the whole movie, the brand can be seen very often on tractors or various signs. Such movies are often called Nang Isan (หนังสายอีสาน / หนังภาคอีสาน). Such movies were targeted for provinces and not really for Bangkok area (ออกมาฉายตามต่างจังหวัด). Thon (Bin Banleurit) tries to seduce Pin (คืนนี้พี่จะบอก) and wishes to marry her but her father (Sombat Methanee) is not willing to give her hand to Thon. Sombat is old fashioned (โบราณเป็นน้อย). Some villagers are willing to help Thon. Thon is having issues with Chatchana as Chatchana wishes also to seduce Pin. Fighting over Pin happens between Thon and Chatchana. Dao, Chatchana’s girlfriend, arrives from Bangkok in the village. The green papaya salad (ส้มตำ) seller is Sombat's girlfriend and he always needs to find excuses to go to see her. Sombat forbids Pin to meet Thon again. A few romances happen in parallel (Ek and Tong Yoi). Dao, in order to make Chatchana jealous, announces her wedding with Thon! So Thon announces his intention to marry Pin! Misunderstandings happen (คนหลายใจ). A wedding procession (กระบวนแต่งงาน) led by Chatchana is on the way to Sombat’s home but he warns Pin at the last minute (เกลียดพ่อ). Thon and Pin decide to flee. A race of farm multi purpose trucks is organized. The winner will marry Pin. Despite his Mitsubishi motor Thon loses! Chatchana knowing he will never get Pin’s heart gives her to Thon. The movie lasts 1h56mn. It features new or quite unknown actors / actresses such as ศจีพันธ์ เจริญสุข-มรกต อุ่นบางหลวง-อาภรณ์ บุญเสนอ-ดลฤทัย ไอยรา. The sequences of successive gags in this movie remind some of the jokes found in Baan Phi Pop (บ้านผีปอบ) movies. There is typical usage of people having ill-favored face to look like ghost (ผี) same as actor Songthong two decades ago. Such Isan movies feature typical sequences with villagers peeping girls using sarong (ผ้าถุง) when taking a bath in local pond. Isan symbols such as farm multi purpose truck (รถอีแต๋น), green papaya salad are well featured. Movie มนต์รักเพลงลูกทุ่ง is a mix of romance, comedy and songs. Seven great songs are featured. This movie is inspired from the famous Mon Rak Luuk Thung (มนต์รักลูกทุ่ง) 1970 movie. Thai movie ฅนลูกทุ่ง was released in year 1996. The movie is lasting 1h23mn. Panna Rittikrai is well known for its action movies but less for such romantic comedy. The movie is shot in Isan language. Many songs sung by Panna are featured in this movie. Panna was nicknamed as นักร้องเสียงเด็ก. This movie could be the "Mon Rak Luuk Thung” (มนต์รักลูกทุ่ง) of Isan with songs and gags. Kamoon (Panna Rittikrai) loves one of the village young lady called Nam Oi. One Bangkokian man is coming to the village hoping to get pure girls. The village lady is agressed by the two villagers. The Bangkok guy helped by two bodyguards including (Krissanapong Rachata) chases them away. The guy proposes a job to Nam Oi in Bangkok. The mother is reluctant but the father wishes to receive the money given as enticement. Finally Nam Oi accepts in order to support her older parents (ตอบแทนบุญคุณพ่อแม่). Panna is on the way to request Nam Oi’s hand through an engagement procession parade but the Bangkok man is taking her with him. Panna realises she is gone. Under a misunderstanding, Pana believes she goes willingly with the Bangkok guy as a boyfriend. He tries to stop them but gets heavily beaten by the two bodyguards. An old teacher takes pity on Kamoon and teaches him martial arts. Meanwhile Nam Oi flees her job in Bangkok understanding the evil behaviour of the Bangkokian guy. She reaches her village as the same time as the ruffians chasing them. Kamoon is ready for a fight to protect her. As the Bangkokian guy claims a contract was signed and money given, the villagers help each other and gather the amount of money due per the contract. It shows the strong solidarity of Isan people and their continuous fight against life as living conditions are harsh in poor Isan. The Bangkokian guy sure to win proposes a fighting against his bodyguards with Nam Oi's hand and the contract sum as rewards. This time, Kamoon wins easily and the Bangkok guy accepts his defeat. Thai movie มหาลัยวัวชน / Song from Phatthalung was released in year 2017 and it lasts 2 hours. Director is Boonsong Nakphoo / บุญส่ง นาคภู่. The movie is using local Thai southern language, so it has even subtitles in Thai and English. Pong (เทอดพงศ์ เภอบาล) is a young lad being 18 years old. He is is disappointed as his girlfriend Beer needs to leave to Bangkok to study. She then stops answering his phone calls. Pong has no interest in local young lady Mind (ยุวดา โอฬาร์กิจ) bringing him food and proposing to go to see movies together. He just cannot forget Beer. Pong is keeping cows in Phatthalung's area. He gathers with a group of friends with Phi O (ทิวากร แก้วบุญส่ง), being the leader and writing songs. Phi O is also driving a songthaew as part job. Pong has difficulties to forget Beer so it makes him singing songs. His dream is to be a singer. Noi, owner of a pub, asks for Phi O's help. The pub is having financial issues since the military coup. The concert is a failure as people fight. Rubber price go down so life is tough in South Thailand. Phi O asks Pong to be himself on the stage and to stop copying others. All the musicians are working and have small jobs. They are trying to make easy money on fighting bulls but are still losing. They are a bunch of losers but have happiness being together. Phi O wishes to release a new album but they have no money. Phi O girlfriend is a teacher and is now 30 years old already, so she cannot wait any longer for him, but O is concerned as he hasn't achieved anything in his life. Their music is a bit similar style to Carabao with engaged songs. Phi O opens a music school and they prepare their own concert for villagers and family members. Beer is back with a new boyfriend, but it ends up badly as Pong gets beaten as he was complaining too hard that she dropped him as he is a poor non-handsome lad from countryside. Pong is fed up and decides to stop being a singer. Phi O complains about his childish behavior, but Pong flees as he cannot stand being lectured. He finally comes back and the concern is a success with a limited audience. All parents and relatives understand and appreciate their children’s skills. Phi O gets an offer from a Bangkok studio, but he prefers to stay in Phatthalung having happiness with his family and friends. This Thai Musical movie page 1 contains 25 records.